Special Religious Education (SRE), also known as 'School Scripture', is for all religious persuasions, not just Christian. SRE is offered in most NSW government primary schools and the vast majority of students across NSW attend some form of Special Religious Education. 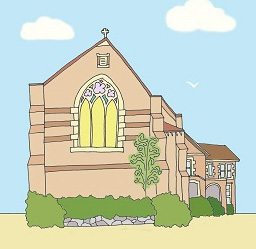 Every week, St Alban's Church provides trained SRE teachers to run Protestant Scripture classes in three of our local primary schools: Five Dock Public School, Dobroyd Point Public School and Haberfield Public School. Parents can choose for their children to attend our classes once a week. During class children are given opportunities to explore stories from the Bible, and discuss implications for their lives. For more information about SRE classes at Five Dock, Dobroyd Point and Haberfield, contact Ali.